I saw some of you last Thursday when I was here to announce the launch of Concerned Health Professionals of New York—an initiative of doctors, nurses, and environmental health researchers. 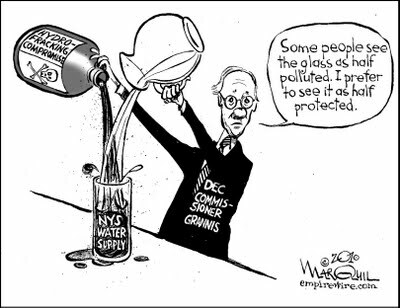 Concerned Health Professionals was launched in response to the secrecy of the ongoing health review, the exclusion of New York State’s own public health experts in the process, and Governor Cuomo’s rejection of our unified demand for a transparent, comprehensive Health Impact Assessment. Not knowing what documents the three outside health reviewers have been asked by DOH to review, we’ve created a website: www.concernedhealthny.org where we’ve uploaded peer-reviewed studies, reports, and our testimonies and letters to serve as a repository of our many concerns about the consequences of fracking for public health. None of these concerns appear in the last iteration of the sGEIS. We have no idea if they are in the current one or are part of documents pieced together in secrecy by the DOH. Okay. Can I just say that this is crazy? Scientists and doctors creating videos and websites funded out of their own pockets to get information and data to our out-of-state colleagues because our collective knowledge has been entirely ignored by our own government? But it gets even crazier. On Thursday, we learned that draft regulations were being released. On Friday, we learned that two of the three outside reviews—in whose hands the fate of millions of New Yorkers now lie—are being paid for 25 hours of work. Twenty-five hours is three working days. 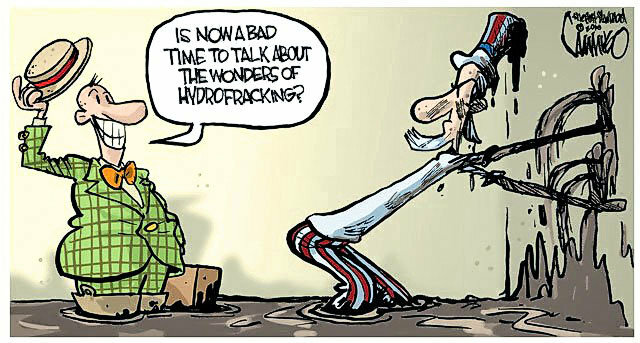 You cannot even READ all the literature on fracking’s health effects in three days. The regs are out and we can comment on them. But the EIS is not out. And the health study, which should be its basis, isn’t even done, and it’s being carried out in total secrecy, and, oh, yeah, today’s the reported deadline for the receipt of the outside reviewers review based on unknown scoping and three days’ work. In twenty years of serving on state and federal advisory panels and watching science get turned into policy, I have never seen a more shameful process. 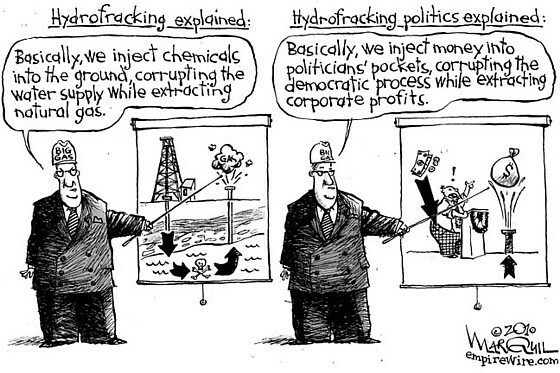 The scientific process behind the decision to frack or not to frack New York is befitting a Third World dictatorship, not a progressive democracy. Here’s what needs to happen: The process by which the state of New York is evaluating health effects must be opened up to public scrutiny and input. We must have public hearings. We must define the broad spectrum of pollutants associated with fracking, document their fate in the environment, identify pathways of human exposure, and investigate long-term health consequences. Until then, the public health community of New York will raise our voices in objection. Because science is supposed to be transparent, and the Governor’s process has been anything but transparent. Because this process feels like a series of reactions to attacks from the fracking industry, rather than a deliberative process for implementing sound public policy. It is alarming for the administration to attempt to rush the enormous amount of work that must be done into the next 85 days. We hope—and demand—that they will step back, see the dangerous path they are on, step out of the backrooms to engage the public, and keep their promise to follow the science.